This tumbler is BPA Free. 16 Oz. 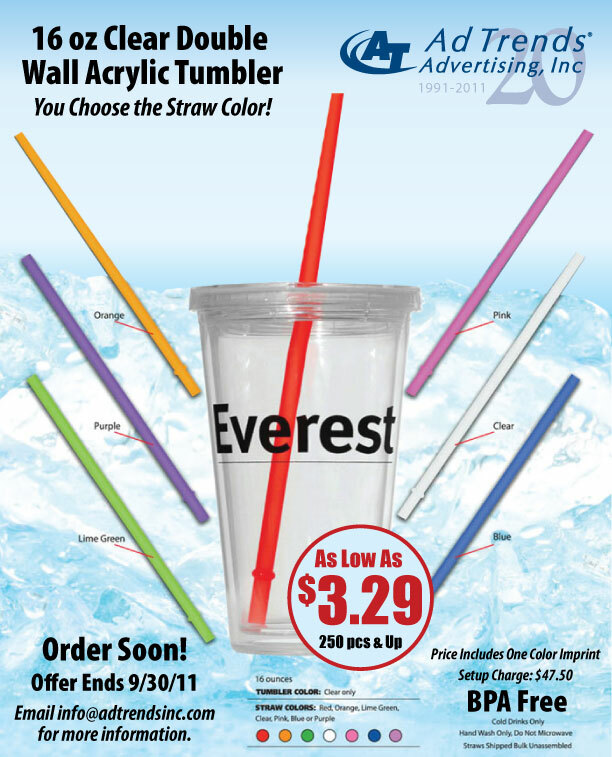 translucent acrylic double wall insulated cup and matching straw. O-ring keeps straw in place. Twist top lid. 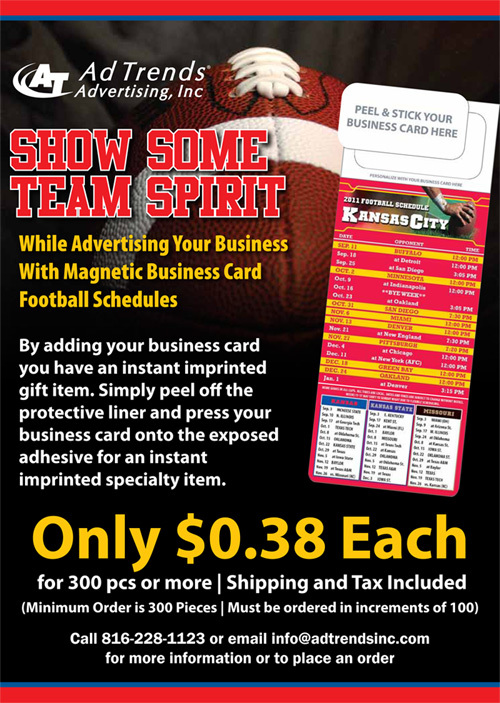 Have your clients watching their favorite team, while holding your cup! 72 for ONLY $3.99 each!!!! There are many advantages to having a professional business website for your company; with a well-designed website your business will be available to potential customers 24 hours a day, 7 days a week, 365 days a year. Potential customers who are already searching for your services and products can find your business through search engines and your website will allow customers to go online and research your products and services from the convenience and comfort of their own home. Promote your physical location, improve customer service and update information easily: You can use your website to promote your brick and mortar presence by inviting visitors to stop by your location to talk with a professional. A professional website can be easily updated and can promote your business specials on a monthly, weekly, daily or even hourly basis. Another benefit of having a website can be seen in improved customer service. A feedback form on the website can be invaluable, giving customers a way to provide honest and timely feedback about their experiences with your business. Add credibility to your business and keep up with the latest technology and innovation in the industry: Having an online presence adds credibility to your business and shows potential customers that you are serious about providing the best service and that you are current on the latest technology. Businesses that keep up with technology are known to also keep up with the latest innovations in the field, so customers will trust your business to bring them the best products and services on the market. Stay ahead of the competition and expand your customer base: A website enables you to stay ahead of and keep up with your competition. If your competition is online, they will be finding all of the customers searching for products and services in your industry. 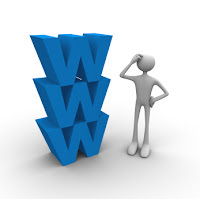 Without a website you are missing out on all that business. A professionally designed website also allows you to expand your business into new markets far beyond the local customer base that you used to reach with print ads or the yellow pages. Enjoy a more cost effective and versatile approach than traditional marketing: Using the web provides a large cost advantage over other types of marketing. Online you have unlimited space and an unlimited number of web pages to promote your business and each product or service that you offer. In print, you may only have a few sentences or a brochure that grows quickly out-of-date. The web is versatile and you can customize different web pages for different types of customers, products or services. Increase your profits today: Creating a professional website for your business is a powerful investment in your company’s future. It can dramatically increase the number of customers who find your products and services by expanding your customer base from local to international. A website will allow you to reach more customers, to respond quickly to market changes and to provide the best customer service. 1. Develops ongoing company identity. 2. Self promotion of your company and professionalism. 3. 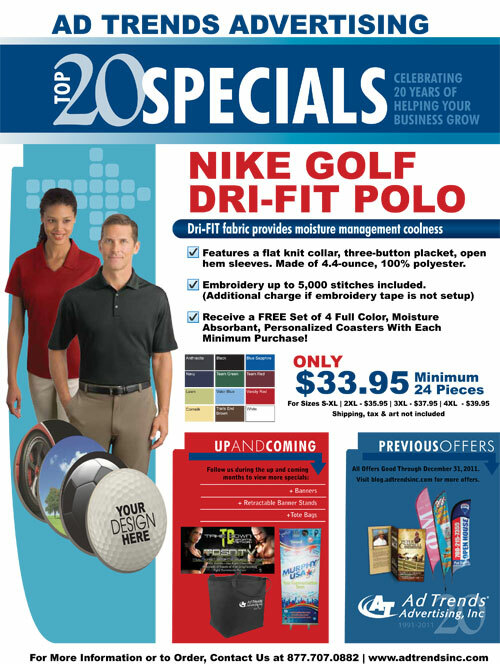 Corporate apparel is a form of advertising at affordable prices. 4. Establishes an automatic business dress code. 5. Improves employee morale through a more casual work environment. 6. Creates greater employee/employer loyalty. 7. Blurs the psychological barriers between the staff which promotes better communication. 8. Solves the endless employee dilemma of "What shall I wear to work today?" 9. Custom imprinted apparel can be used for safety programs and sales incentives. 10. Custom embroidered corporate apparel provides an image of quality. 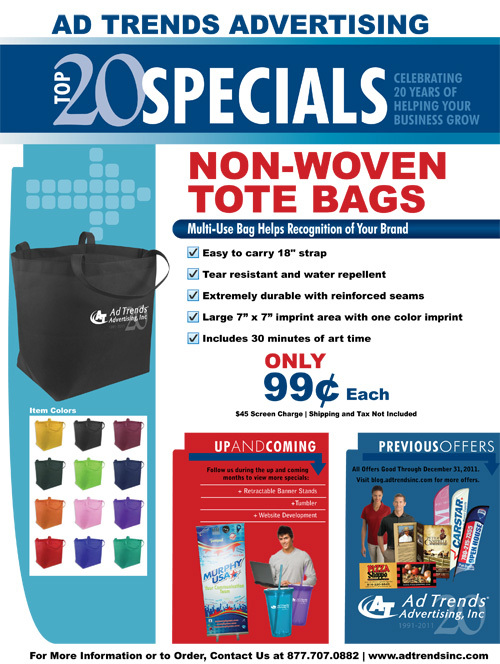 Create room for corporate apparel in your marketing budget. It is an easy way to regularly outfit your staff, brand your company, and create the image of quality and professionalism. Is Your Site Getting The Traffic You Hoped For? 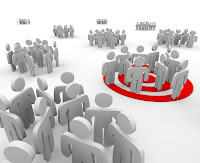 One of the most important tasks of any site owner is getting traffic to their site. A high percentage of site traffic means people are looking for a company like yours specifically, and if they can't find you then your site has become irrelevant to the internet. SEO - Search Engine Optimization takes some time to do, but in the end you'll reap the benefits greatly if done right. SEO includes adding relevant keywords to your site, specific titles to each page, and a content specific description to every page on your site. Sitemaps and search engine submissions are also very helpful in this process and necessary if you want the keywords to be searched on a more regular basis. Use Facebook, Twitter & LinkedIn - These social networking sites have proven to be extremely important in the advertising world. In fact, some people don't even have an actual website, but solely use these networks to promote their businesses. (Although I wouldn't recommend it.) After you set up these accounts, always remember to put links on your site to these accounts and vice versa. Frequent Site Updates - Audiences like to see fresh content when returning to your site. If you haven't already, add a blog to your site and update it monthly, weekly or even daily if time permits. Blogs are great for promotions, new items, upcoming events, contests, or anything that you think will draw people to your site. Make sure your blog is linked to your Facebook account. If done right, everytime you post a blog it will post the blog to your Facebook profile, as well. Set Up A Google Adwords Campaign - If you have your keywords in place and want to bring more people to your site, these Google Ads will do the trick! With the right key phrases directed towards your site, you will bring in more traffic than ever. You set your own budget, and Google will not surpass that amount. Give Away A Product Through a Contest - People like receiving things for free. There's no question about it. Use this as a tool to bring people to your site, and you'll get them every time. Promote Your Site For Free - Use classified ads and directory sites to promote your site. The more submissions and links you have out there, the more likely your site is to be found. Add Website URL To ALL Printed Materials - This is a given, but just a reminder. ALWAYS add your website address to ALL printed materials, i.e. 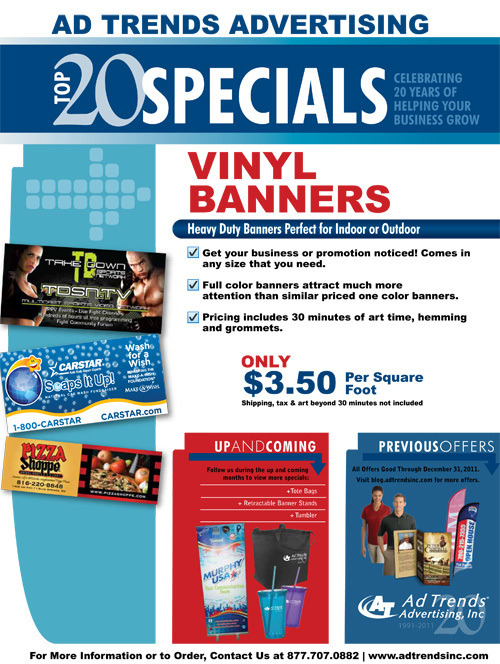 business cards, brochures, menus, promotional products, even items you are giving away in your contests. Put Links To Your Site In Email Signatures - Think about the number of emails you send out a day. This is the number of times your website could potentially be visited. Add your logo and/or another cool graphic with the link to your site for added appeal. Send Out Frequent Email Blasts - Monthly newsletters are great refreshers to let your customers know that you're still around. Promote your specials, introduce a new product, announce an upcoming event, or any other special news you can use to "get the word out".